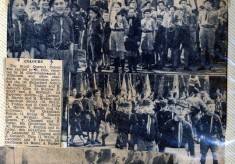 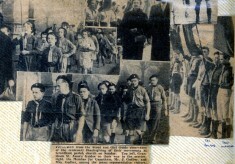 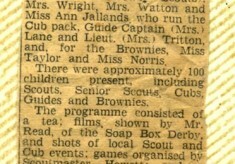 Newspaper cuttings and other items about Bottesford Scouts in the mid 1950s, scanned from a scrapbook that was kept by Mr Jay Howitt, who was Scout Leader in Bottesford at the time. 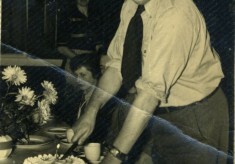 The images start with the first page of the book and work through to the last. 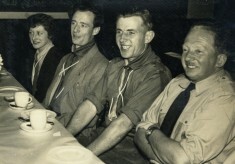 Leaders at celebratory dinner: LtoR, Margaret & John Tritton, Mr Jay Howitt, Mr Read (District Commissioner). 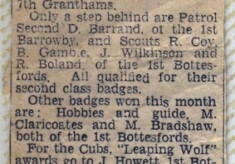 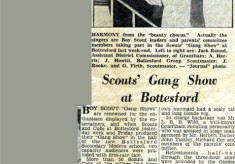 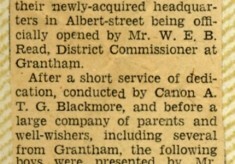 Press article “Bottesford Scouts to have own premises shortly” from the Grantham Journal. 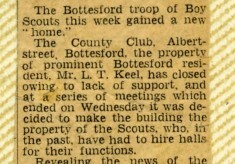 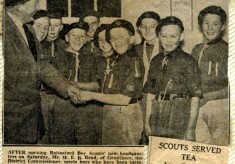 Bottesford Scouts celebrate the opening of their hut on Albert Street with the donor Mr. L.T. 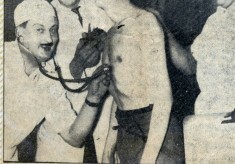 Keel. 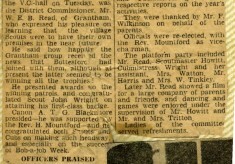 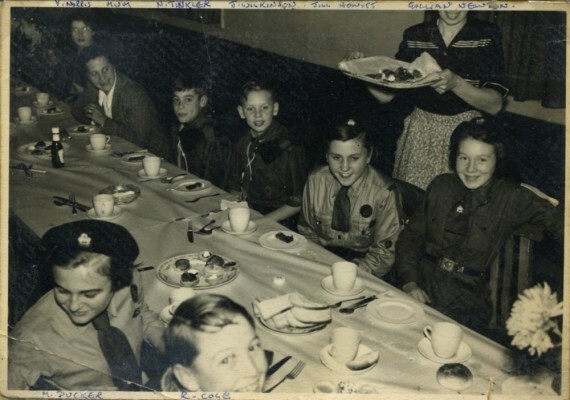 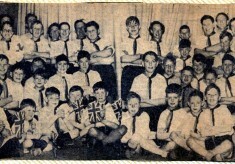 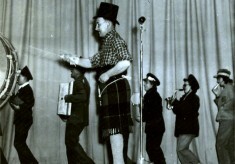 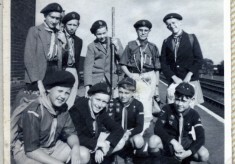 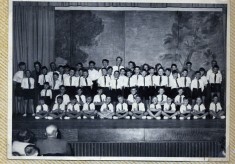 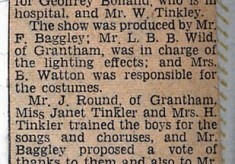 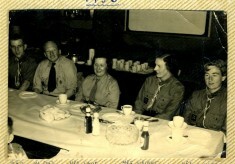 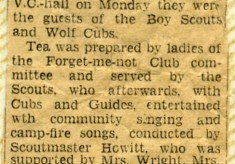 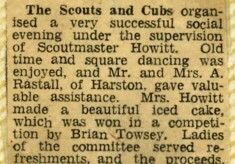 An account of a Bottesford Scouts and Cubs old time dance social evening. 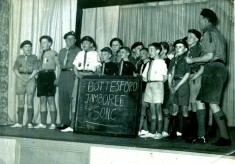 A scene at the 1957 World Jamboree, showing a USA delegations display. 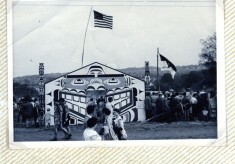 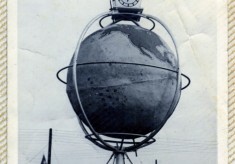 One of the spectacular display stands at the 1957 World Jamboree.